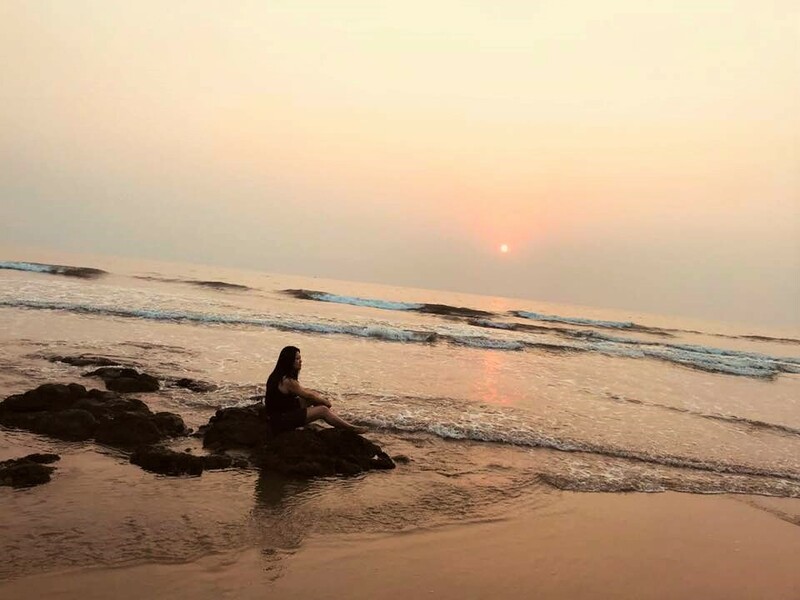 A trip from Pune to Kashid Beach!! Everyone loves beaches I guess… I absolutely do. 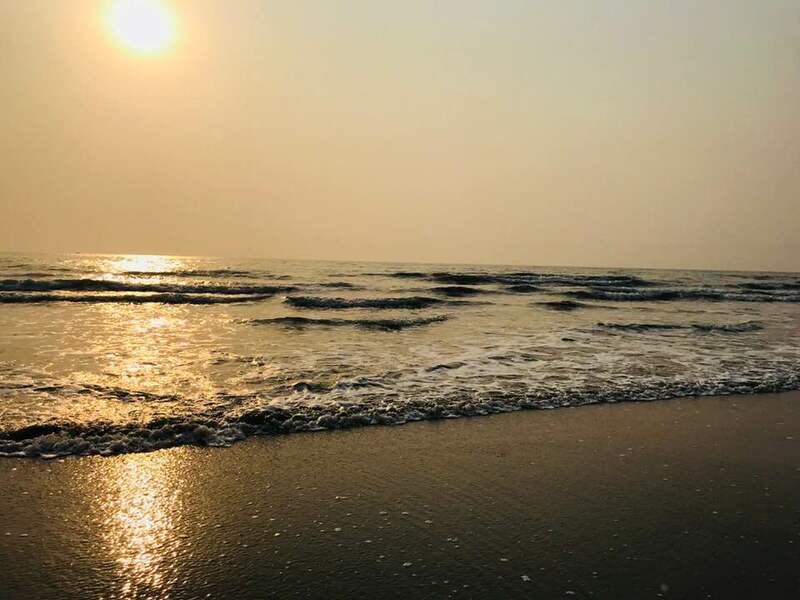 Only after I decided to travel to Pune, I came to know that Pune has quite a lot of beaches around. 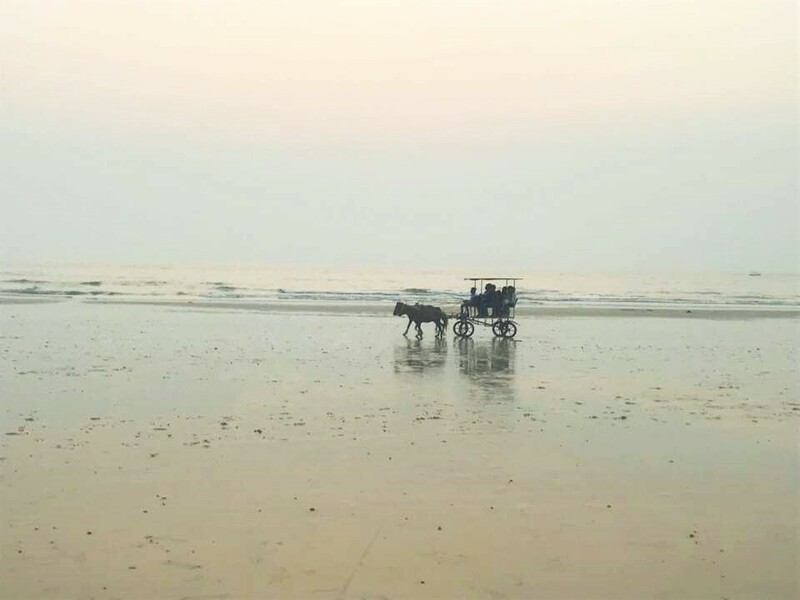 I had planned to travel on a Holi long weekend and my friend suggested to visit Kashid Beach. That was the first time I heard the name, I did some research and felt its worth visiting. Kashid Beach from Pune is 180km and it might have taken us about 4hrs to reach. We hired a taxi which charged us Rs9 per km and Rs400 as night charge. We took off on Saturday morning and got back on Sunday. We had already booked a hotel in advance for Rs3000 per night and after reaching the place we freshened up, had our lunch and crashed for a while. It was a good idea to hire a cab as Kashid beach is on the outskirt and am not sure if you get any transportation around. It’s better to hire a cab if you want to visit the place, it gives you the flexibility to move around. Seriously, I was completely in love with the surrounding. After watching the sun set in the ocean we decided to walk to the main beach where there were lots of people and shops around. 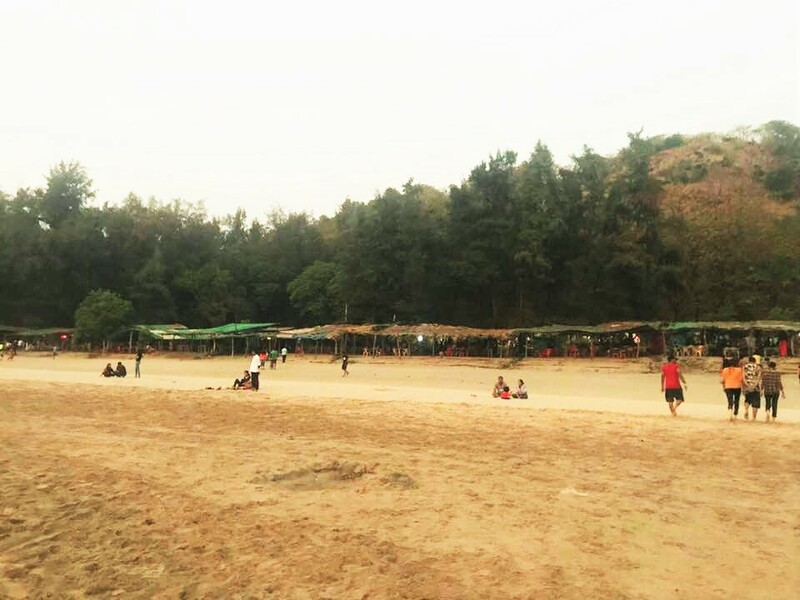 They had activities going on and one can opt for speed boat, horse riding and so on… There were few shops where you could get tea and snacks. We took a cup of tea and pakora and headed back to the hotel. Food at our hotel was very good so we didn’t feel the need to go somewhere else for dinner. After having a tasty dinner, we crashed the night planning to wake up in the morning and visit the beach again. 7AM we were out to the beach where we had decided to spend an hour. 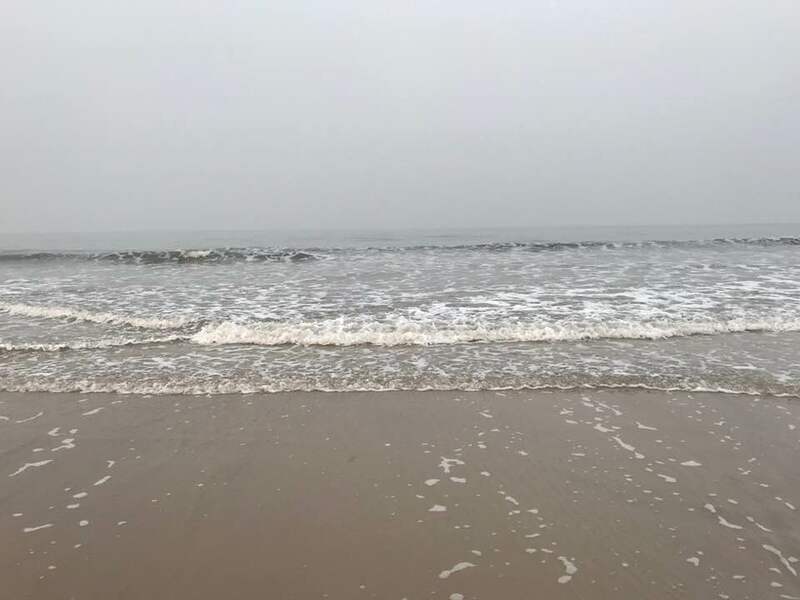 Beach was equally beautiful and serene in the morning!! We sat there looking at the water and getting submerged in our own feelings. Reluctantly we left as we had planned to visit Janjira Fort before heading back to Pune. 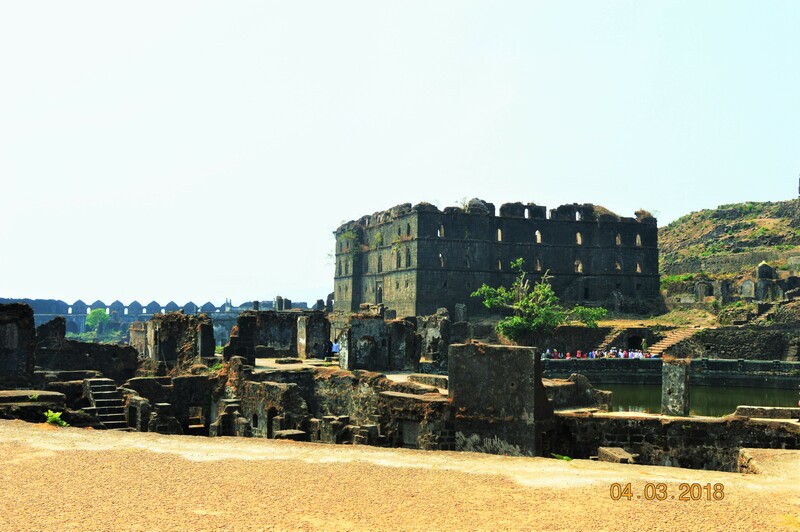 After breakfast, we drove towards Janjira Fort. 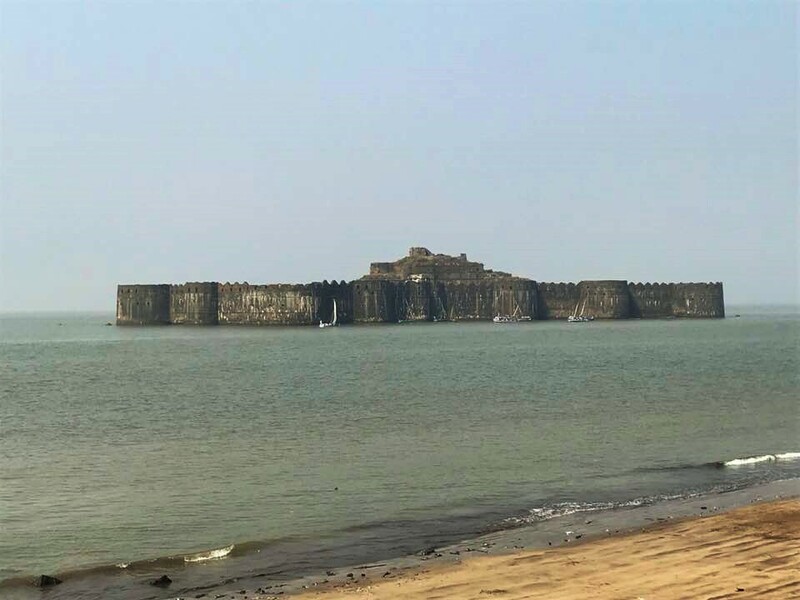 Janjira Fort is situated in an island just off the coastal village of Murud. It was about 40mins drive from Kashid. We had to park the car (parking fee is Rs50) and walk to take a boat to the Fort. 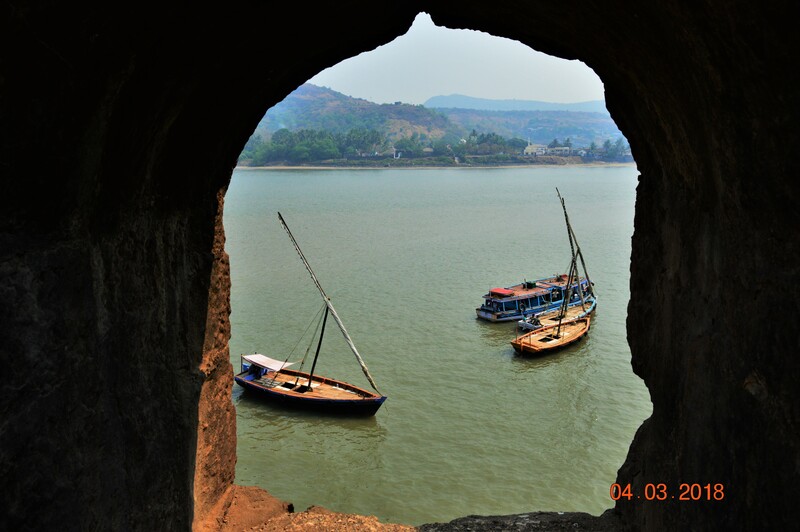 This fort is in the middle of an island and was built in 1100 AD by an African King. Entry Fee is Rs65 and they take you in groups. If you want, you can hire a guide also. They will charge another Rs300 for a group of 1-5 people. It’s better to take a guide as they’ll explain the significance of the points inside the fort. This fort is spread over 22 acres and am sure you won’t be able to complete it even in 2hrs. However, the boat will wait only for 45mins and then they go back. If you decide not to take the guide you have to time yourself accordingly. Spotting the entrance is virtually impossible till the time you actually reach to the point. All you’ll be able to see inside is the ruins of the fort. According to the guide this fort has undersea tunnel to commute but has been closed now. It has a water pool also and the depth of one of it was 50feet. 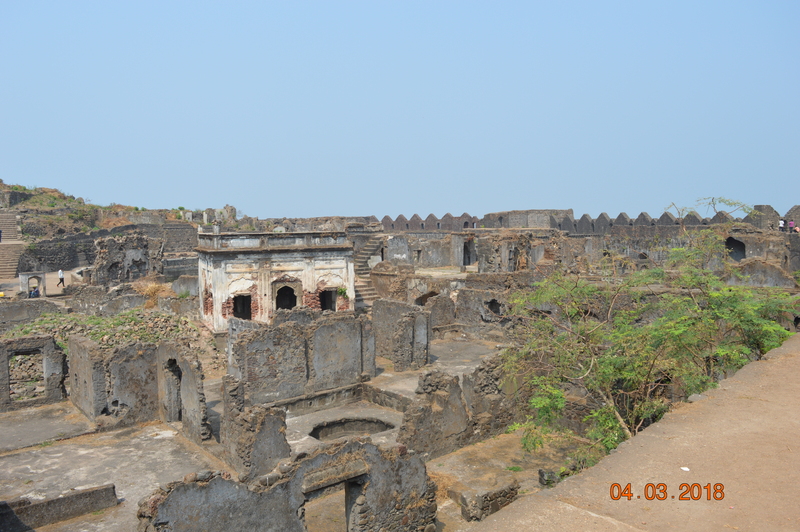 As per him this fort had both temple and mosque once. You can also see some really old cannons here. 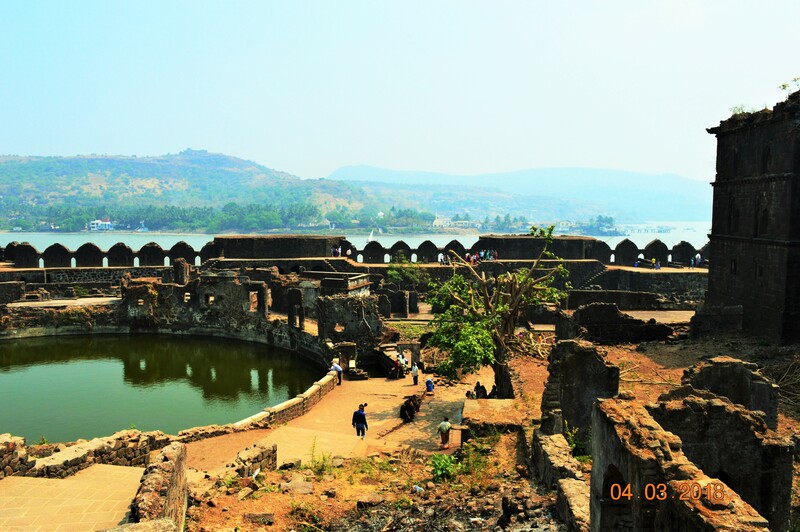 There is a peak point from where you’ll be able to see the panoramic view of the fort and the nearby villages. Make sure you are wearing comfortable shoes and have applied sunscreen and wearing sun glasses. You don’t get anything inside so you might want to carry water and snacks (just in case). You will definitely be able to see the ancient architecture of India. 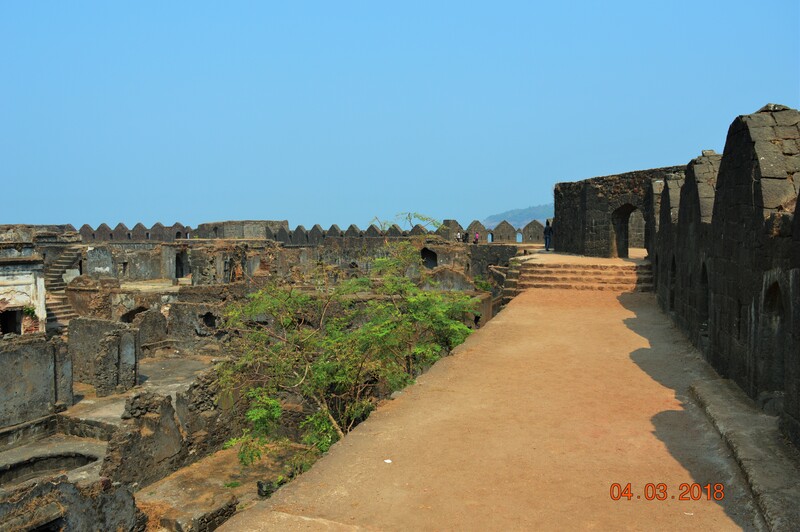 Overall a nice fort, good experience to be able to visit.